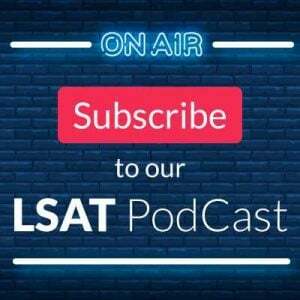 For a while now, I’ve been meaning to write a series of articles on how the pursuit of perfection in various fields can teach valuable lessons for LSAT preparation, and how that pursuit sometimes conflicts with prevailing conventional wisdom. In honor of tonight’s national championship football game, we start with Oregon’s Blur Offense. If you’re not familiar with football or are just a casual fan, you may not be aware that Oregon runs an unusual type of offense that spreads the field and runs plays at a high rate of speed (about 15 seconds between plays in last week’s Rose Bowl demolition of Florida State (hence the “blur” descriptor). The idea is to wear out the defense, and force them into making a mistake. For the viewer, it’s incredibly enjoyable to watch because there’s no down time when Oregon has the ball—in normal game situations they immediately line up and snap the ball, and they often score within a minute or two of taking possession. They also tend to be more aggressive on 4th downs since keeping the ball is so useful to their strategy. This approach leads to a lot of scoring, with the Ducks averaging 47.2 points per game this year (which ranked second in the nation, behind another up-tempo offense, Baylor). By running plays so quickly, you often see opposing teams struggling to catch their breath, and even faking injuries to slow play. Consequently, if they haven’t already separated themselves in the first half, the third quarter is often when Oregon pulls away and seals the win (for example, versus Michigan State this year). My goal above isn’t to glorify the Oregon offense (although it is awesome, and I’m clearly a fan). Instead, what interests me most is what we can learn from the collision between the thinking behind this offense and conventional wisdom in football. While the principles behind this offense are gaining hold in college and even the NFL, given its rampant success, why isn’t it emulated more widely? Traditional offensive thinking in football often revolves around ball control and time of possession. In other words, grind out the yards and hold the ball for as long as possible, because the other team can’t score when they don’t have the ball (well, barring a turnover return for a TD, which is rare). Combine that smashmouth offensive philosophy with a tough defense, and the result is an old-style coach’s dream: slow, methodical, and brutal. In recent years, rule changes have made it easier to score, and so offensive numbers are up, but even as offenses have become more productive there have been limited changes in how coaches think about standard parts of the game such as the play clock, or punts and kickoffs. These days, in many sports there is a growing movement towards statistical analytics (popularized by baseball sabermetrics and exemplified by Moneyball). Basketball, for example, is undergoing an analytical revolution that is changing the way that all players are evaluated. In football, research has proven that teams punt far too often, and yet coaches continue to call in the punter when it’s 4th and 1 at the opposition 42. Why? Because it’s the “safe” thing to do according to conventional wisdom. But it’s also the wrong thing to do over the course of a season. 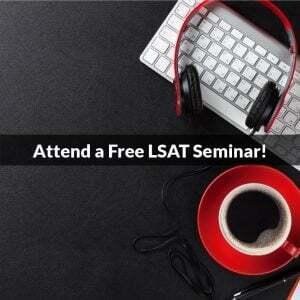 Turning to LSAT preparation, people often fall into similar “conventional wisdom” traps. Sometimes it’s by choosing certain prep course providers (you know the one I’m talking about), but it also happens when you follow strategies that sound like they should work, but don’t. Common examples include that you should always choose (C) when you guess (wrong! ), that you can’t study for the LSAT (umm, no), or that you should try skimming or speed reading in RC (good luck). 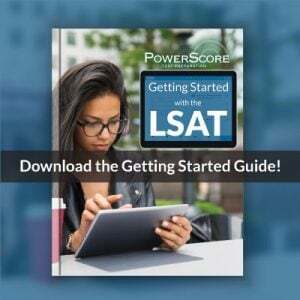 Like football, the LSAT has evolved slowly over the years, and you should make sure you are using the most modern, up-to-date approaches possible. It’s why we update our materials regularly, and also why you have to be careful with things you read on the internet—make sure you get your information from a source you trust, and evaluate how it fits into your approach. And, if you are uncertain, ask questions! A good LSAT system will have an explanation for everything it does. Returning to Oregon, when you watch the National Championship tonight, aside from enjoying what I hope will be an Oregon offensive assault never before seen in a title game, keep in mind that their success has been built upon a unique approach, and one that someday may be the norm but originally was viewed as a fad and somewhat of an oddity. Take control of your LSAT prep and make the decisions that are best for you, and hopefully your resulting success will be on a championship level! Questions or comments? Please post them below. Image courtesy of Dave Killoran.